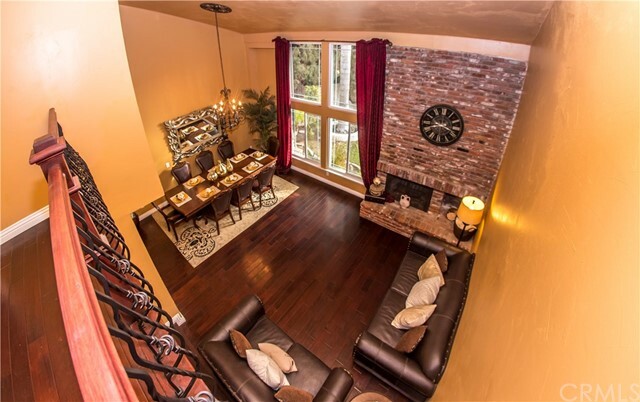 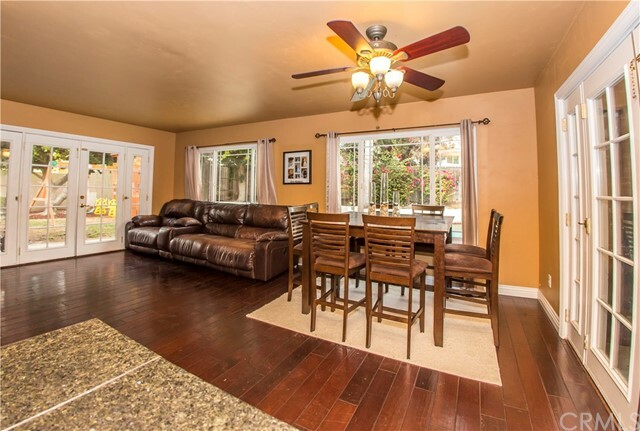 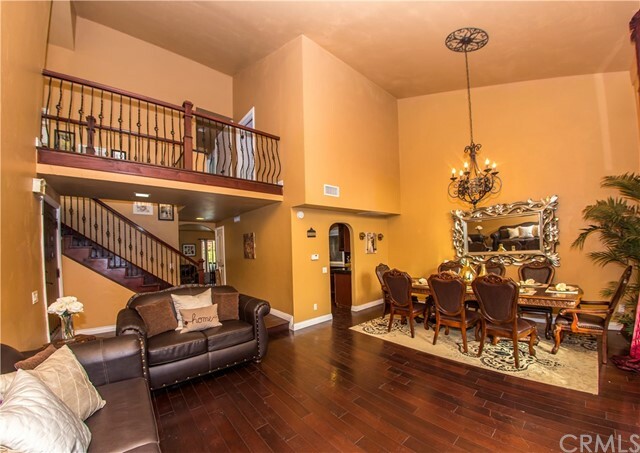 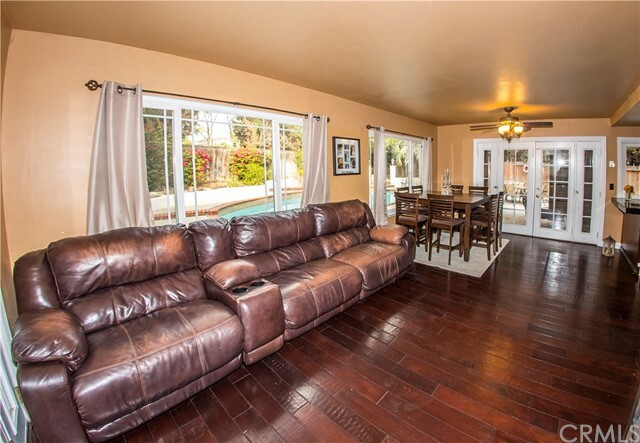 This exquisite, elegant, highly upgraded, two story, 2 car garage pool home in a very desirable and quiet cul-de-sac. 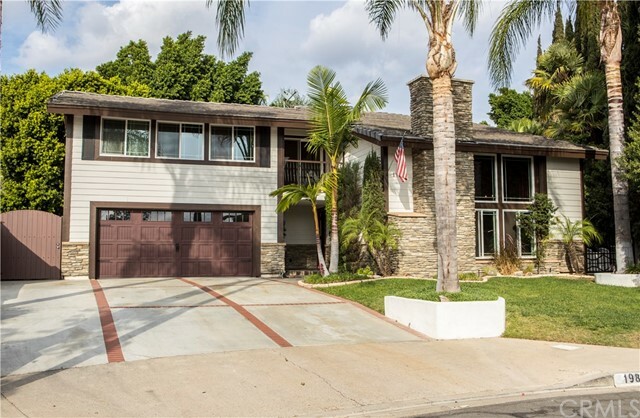 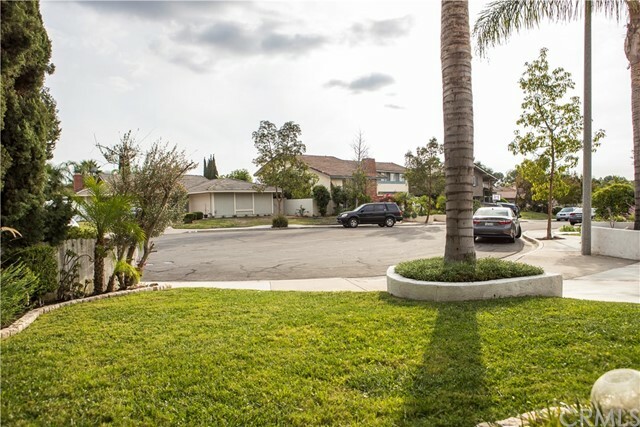 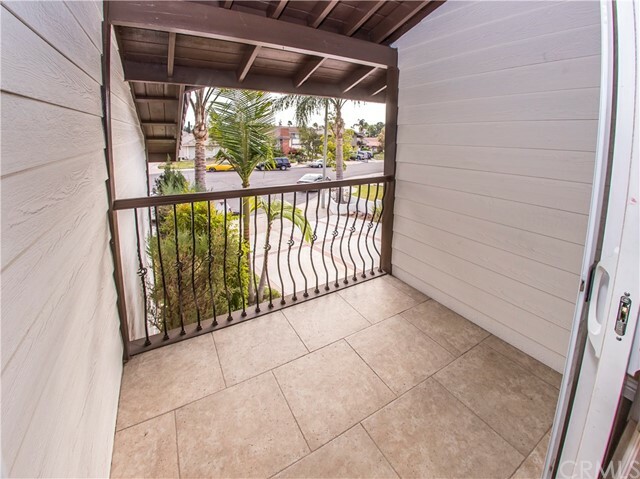 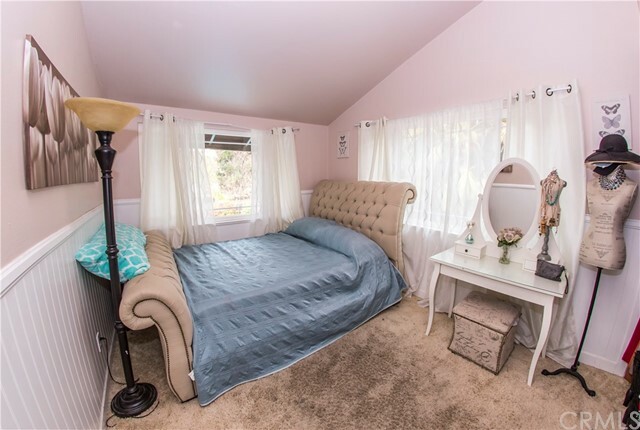 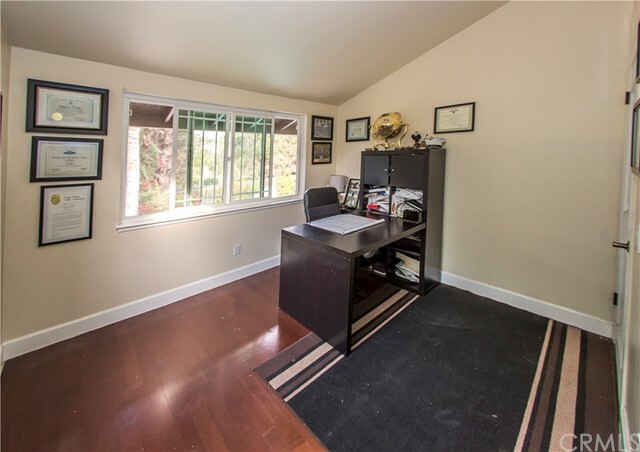 Great location in the heart of Yorba Linda within walking distance to award winning, highly rated, Fairmont Elementary & Bernardo-Yorba Middle and Yorba Linda High. 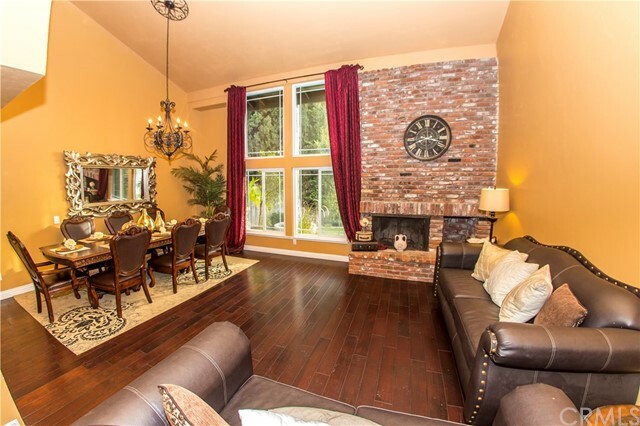 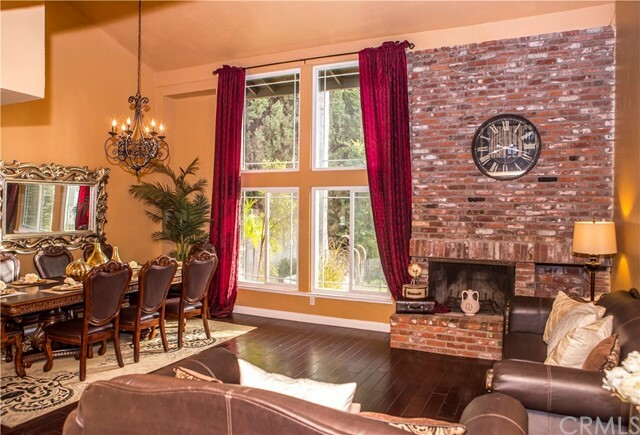 Walk through glass & wood front door and immediately see soaring ceilings to the formal living room with lots of natural light & a gas fireplaceThis home features a pool, spa, beautifully maintained landscape on a large lot, over 1/4 acre, for entertaining. 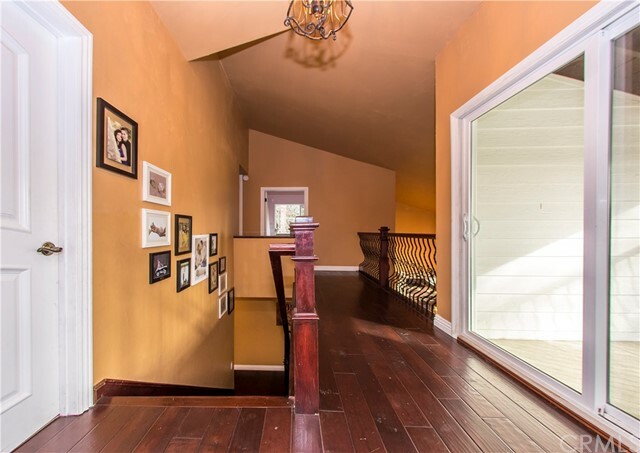 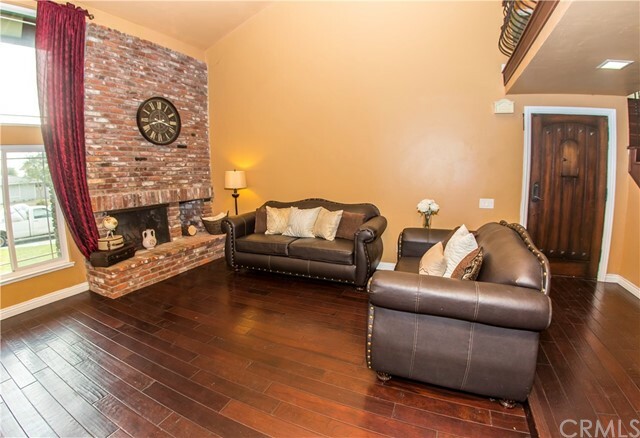 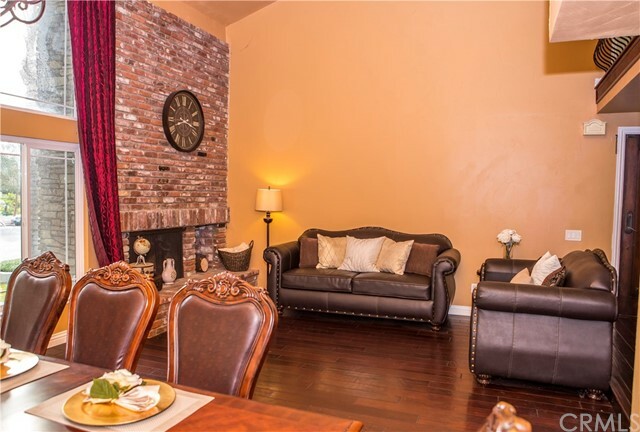 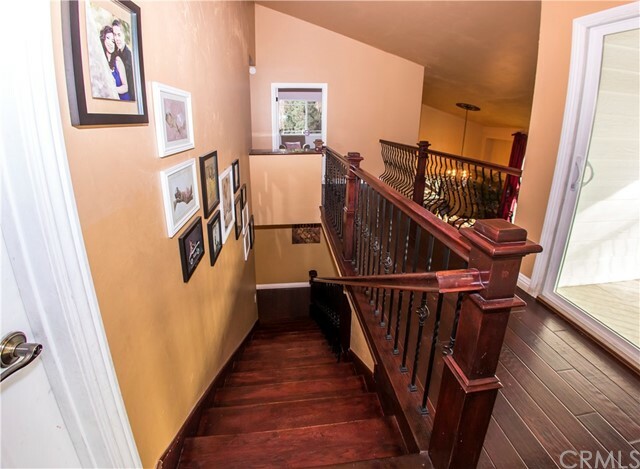 Step into the front foyer to a vaulted ceiling living room with a charming fireplace, elegant dining room and gorgeous distressed wood floor throughout the house. 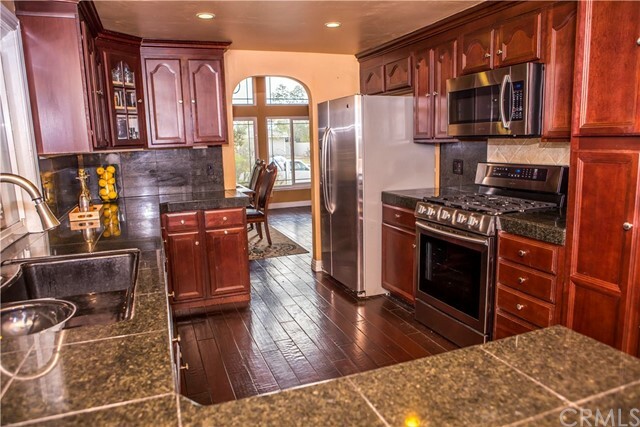 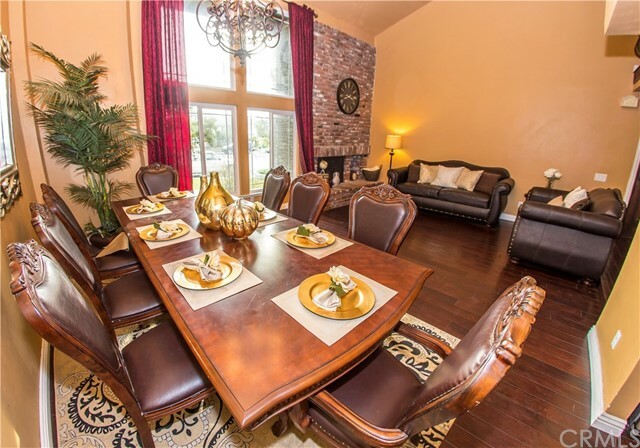 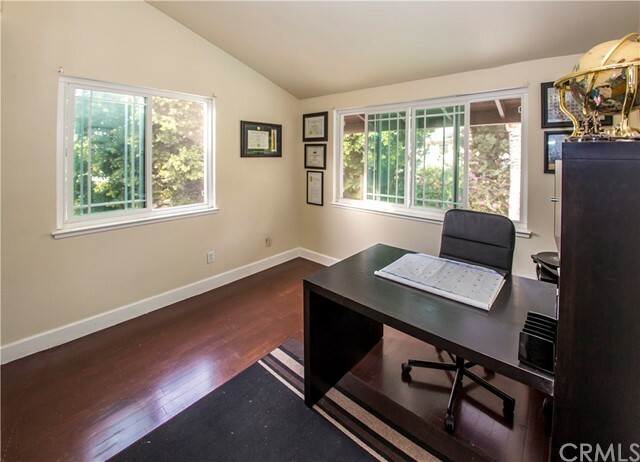 Prepare delightful gourmet courses in the beautiful kitchen with granite countertops and maple cabinets which opens to the kitchen nook and cozy family room. 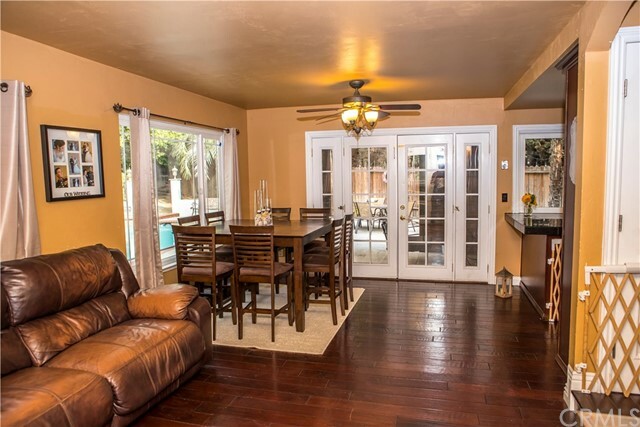 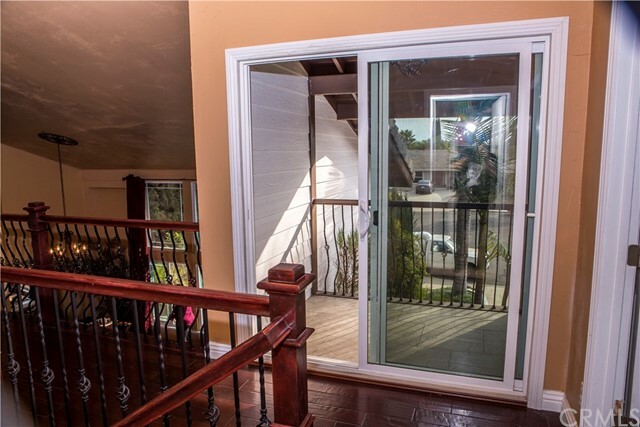 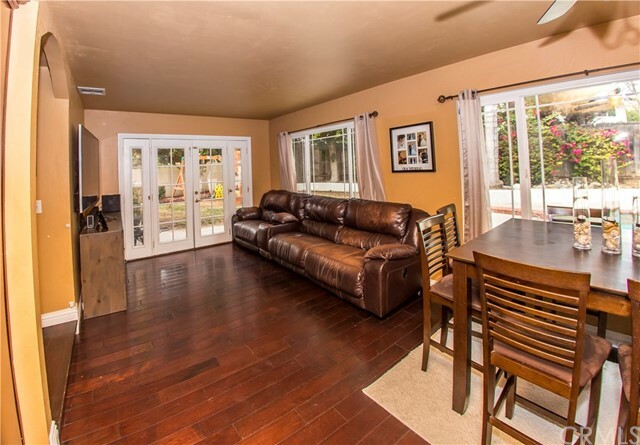 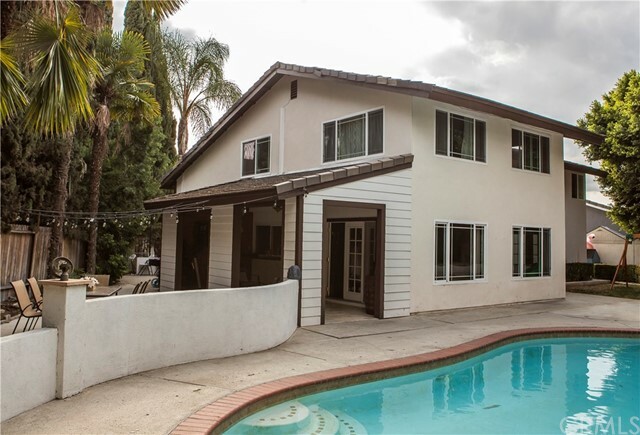 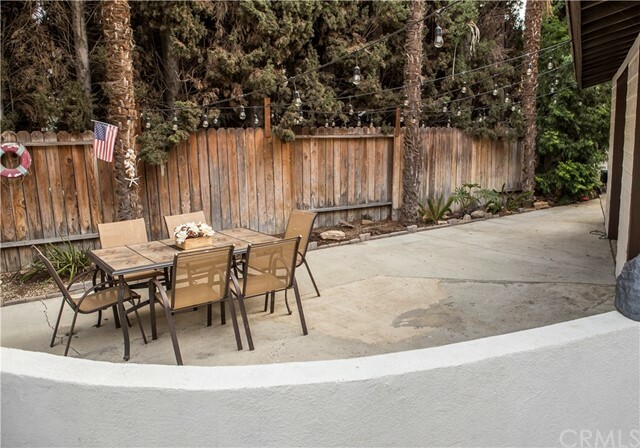 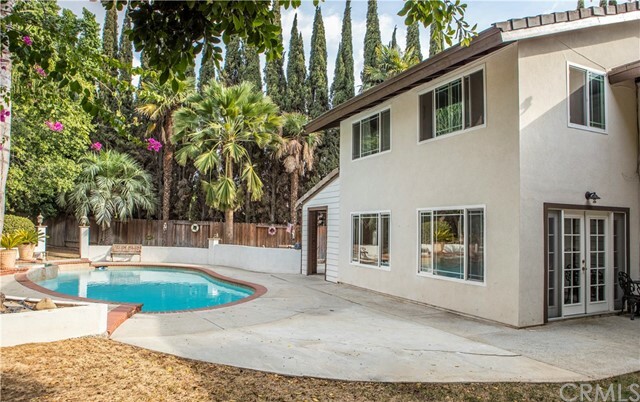 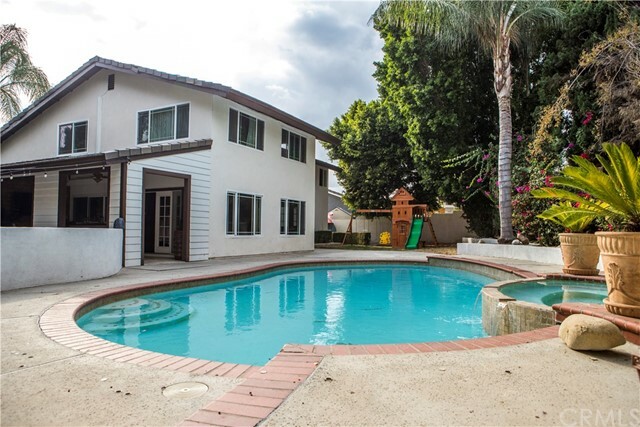 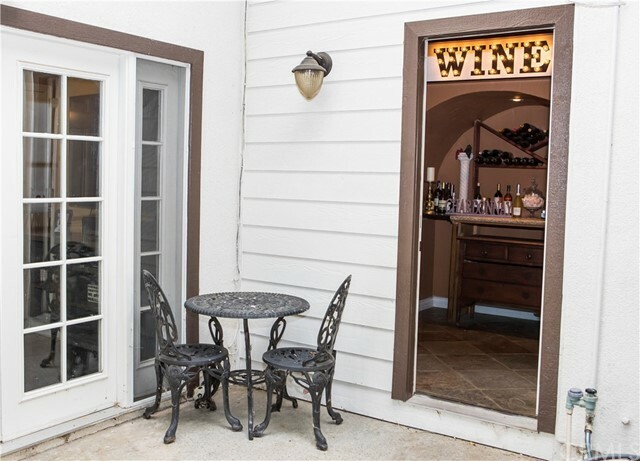 Two sets of double French doors lead to the large backyard with an entertainer’s covered patio, prewired for a flat panel television and a bar with a pass-thru window. 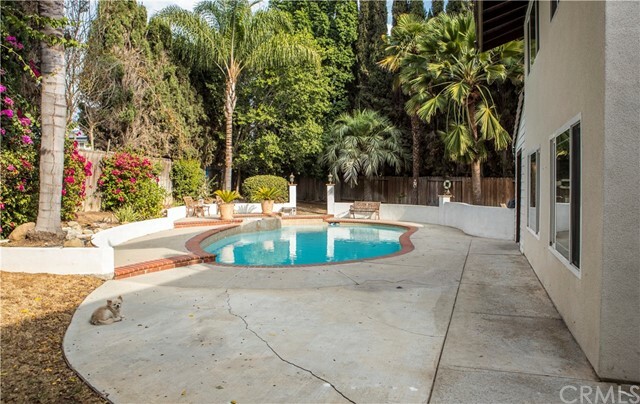 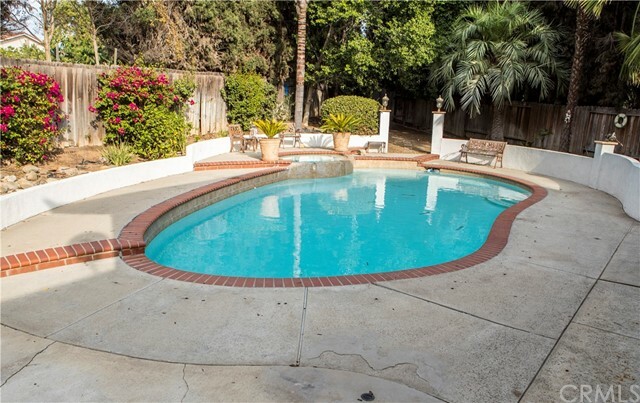 Relax by the pool or in the spa and enjoy the large, private oasis. 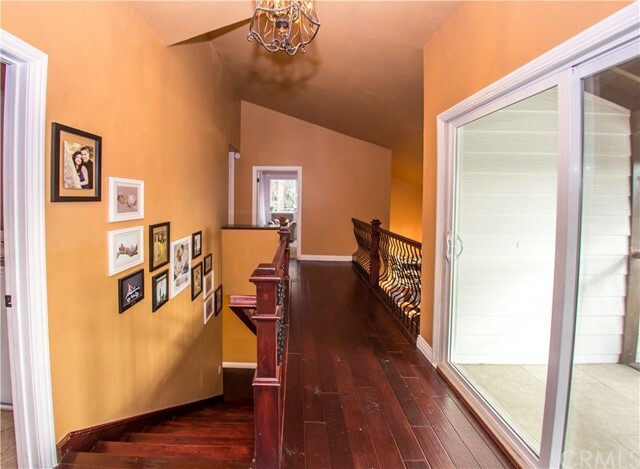 The stately mater opens up with double doors to a beautiful retreat. 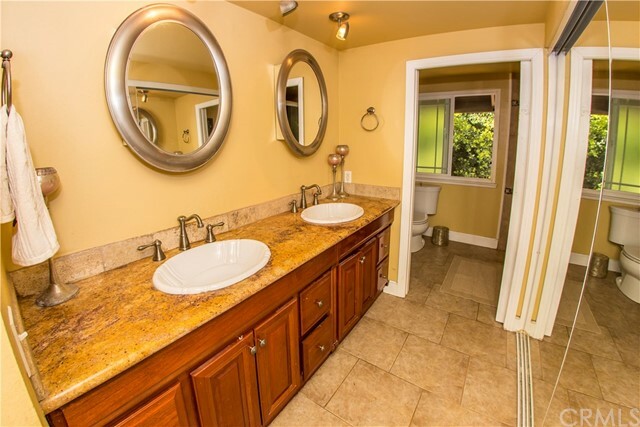 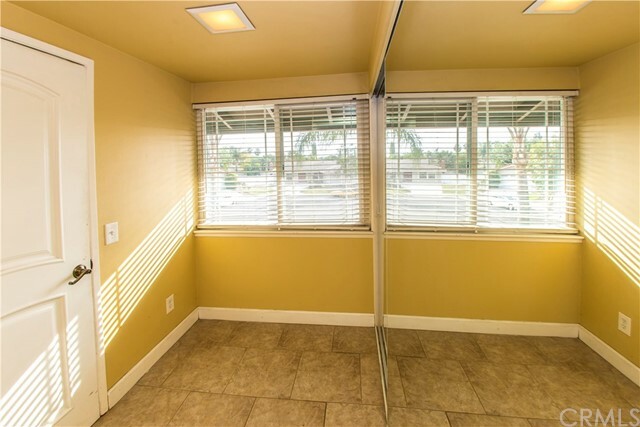 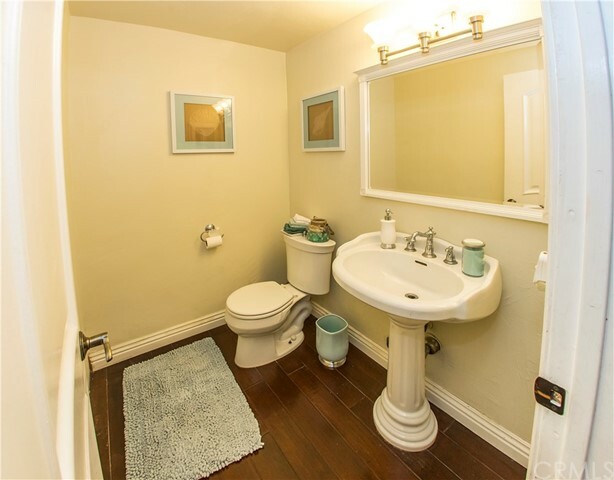 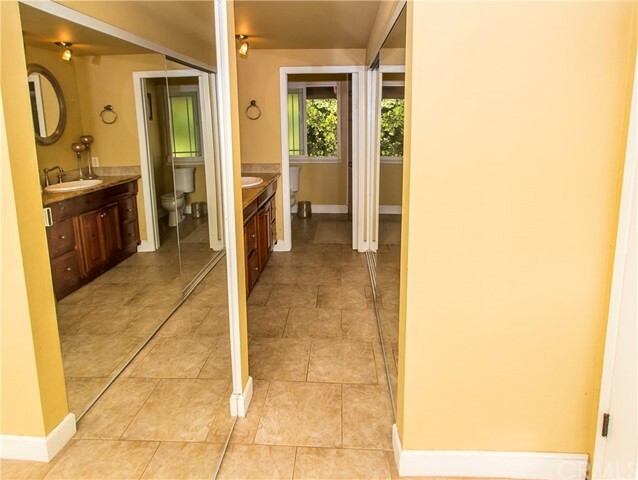 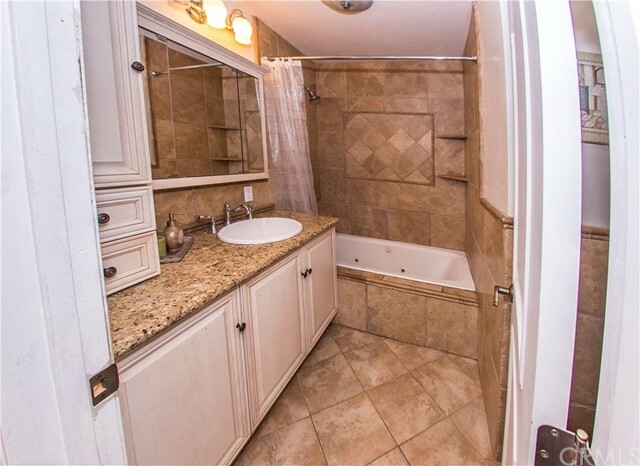 It offers his and her closets, dual sinks, granite countertop and custom shower. 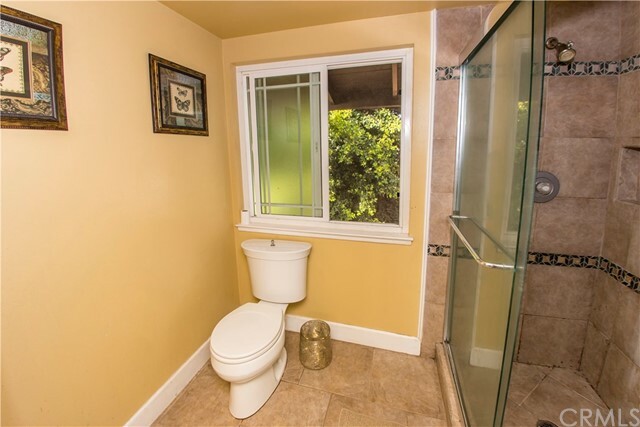 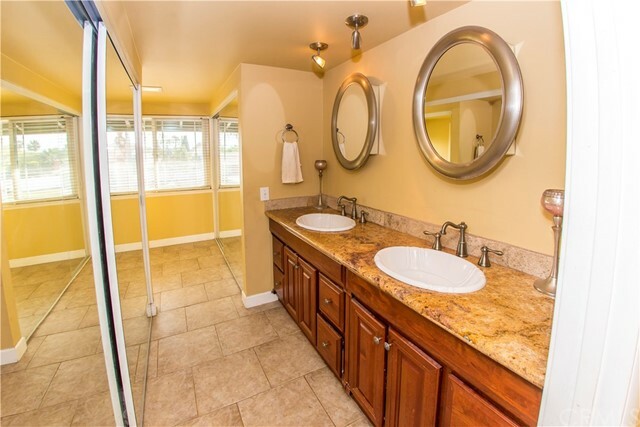 The guest bathroom is upgraded with granite countertop, porcelin flooring with tumb tileled travertine in the shower. 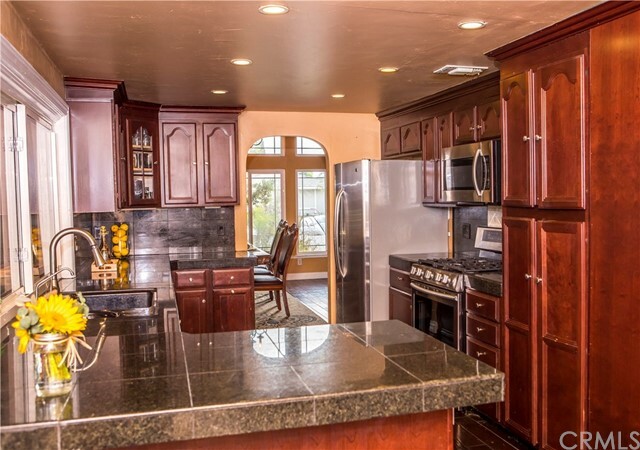 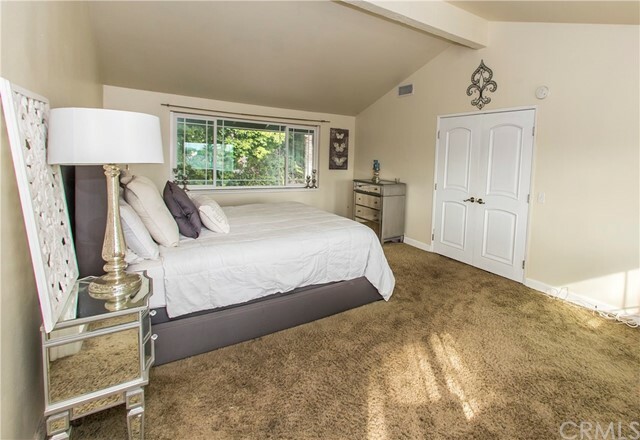 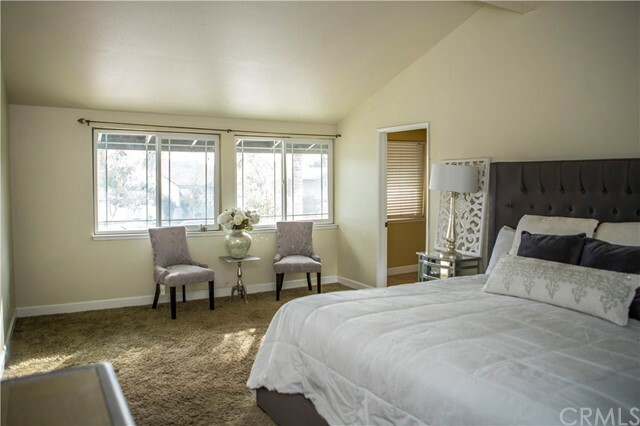 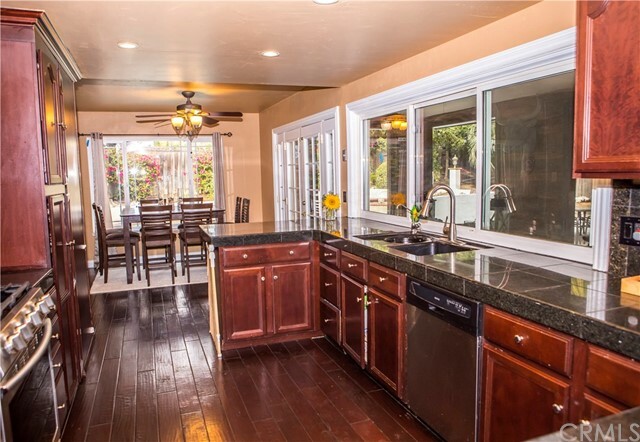 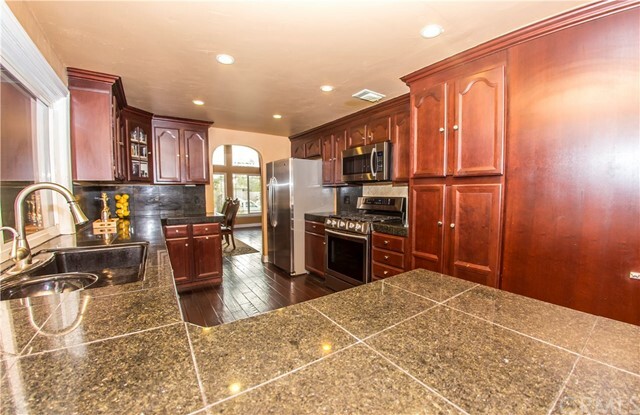 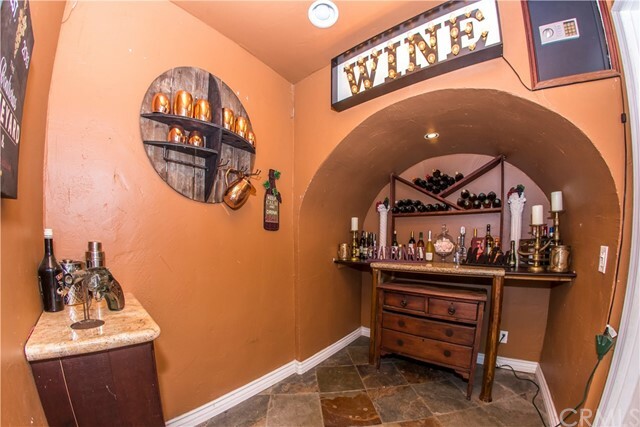 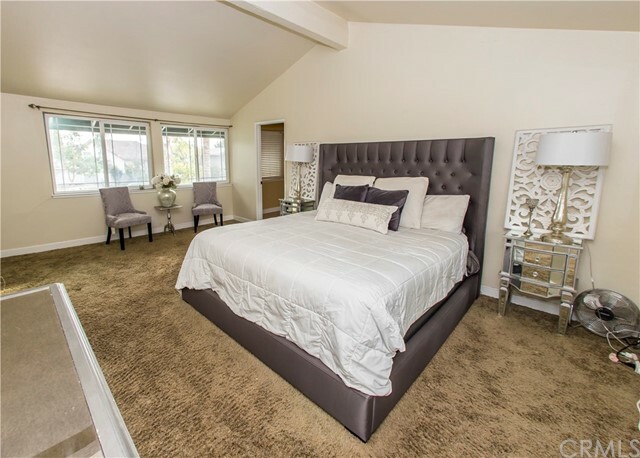 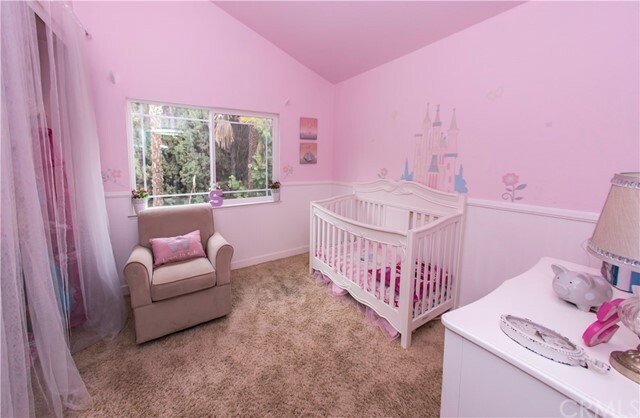 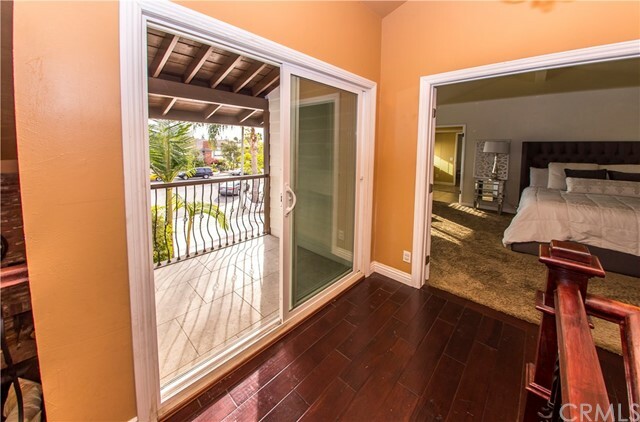 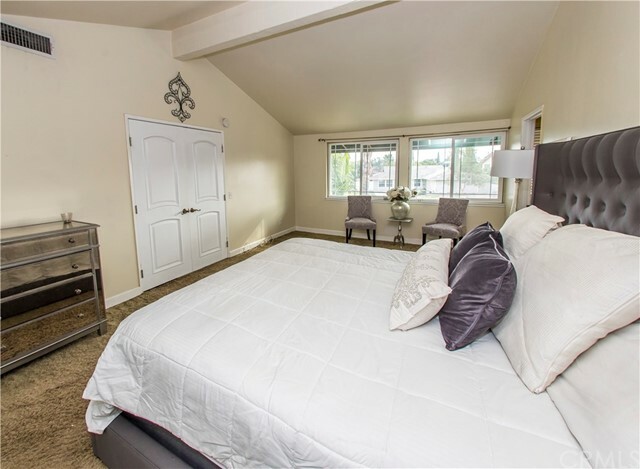 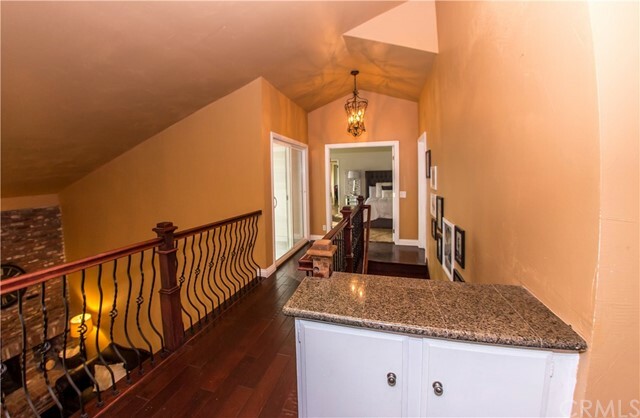 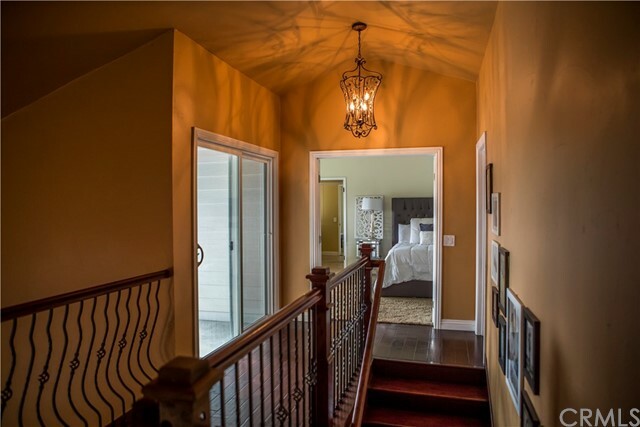 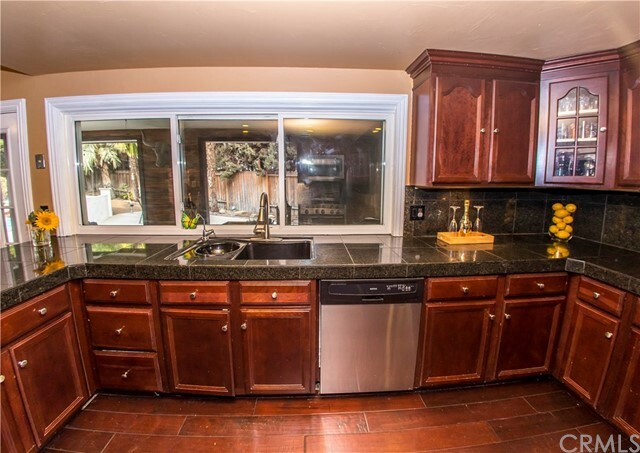 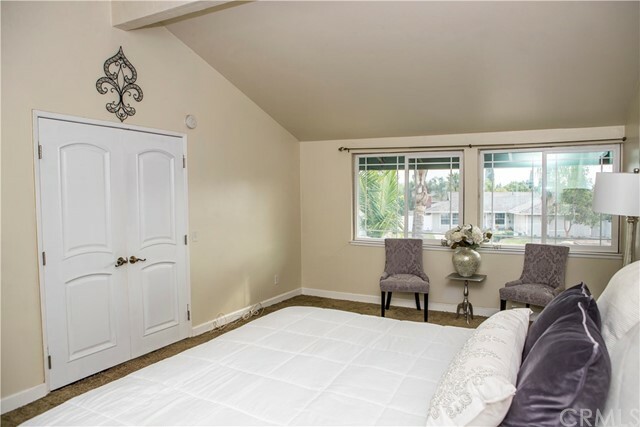 Two unique features of this property are the upstairs laundry room and downstairs wine room. 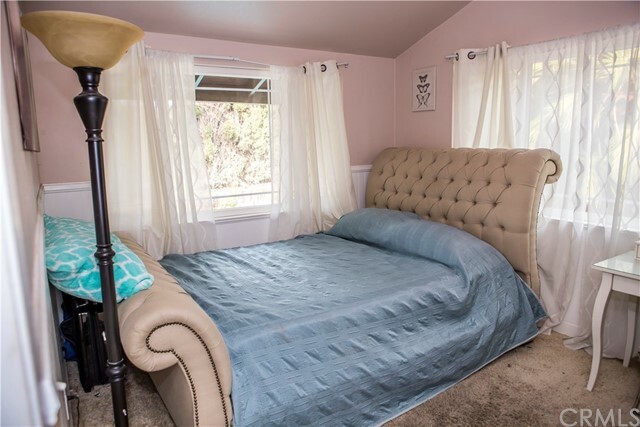 No Mello-Roos and no HOA.